Here you can find general information to our products, Pigment-suitability lists, Recipes, Safety indications, Newsletter, our page we give answers to various questions from our customers (FAQ = frequently asked questions) and many more. 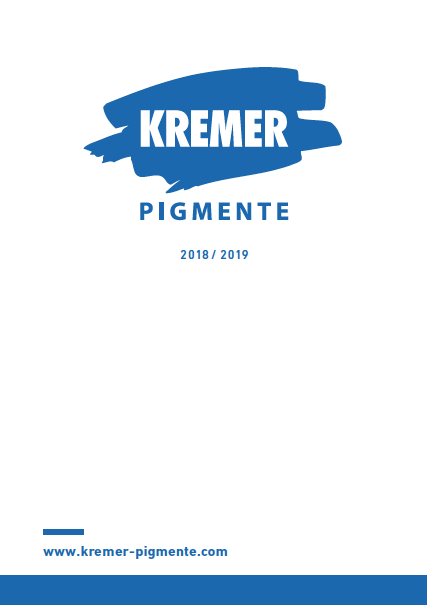 You can download the catalogue versions below or order a printed catalogue via info@kremer-pigmente.com. Découvrez la diversité des produits et plongez-vous dans le monde de Kremer Pigmente! Vous n'y trouverez non seulement beaucoup d'Information mais aussi la connaissance utile. P. e. la liste compatibilité des pigments. Découvrez la diversité des produits et plongez-vous dans le monde de Kremer Pigmente! Vous n'y trouverez non seulement beaucoup d'Information mais aussi la connaissance utile. P. e. l’indication des dangers, les recettes, l'exposé sommaire des dispersions résines, la liste d'aptitude des pigments. These solvent-free, water-soluble wall paints are obtained from natural raw materials and are available in eight different shades. Our raw materials and pigments are processed observing highest quality standards and create silk-matt and high-coverage paint. The wall paint is fast drying, diffusible, breathable and conditionally abrasion resistant. It can be used on all interior wall surfaces (the application of a transparent binder might be necessary). The raw pigments are natural earths, historical cobalt pigments and carbonic pigments. 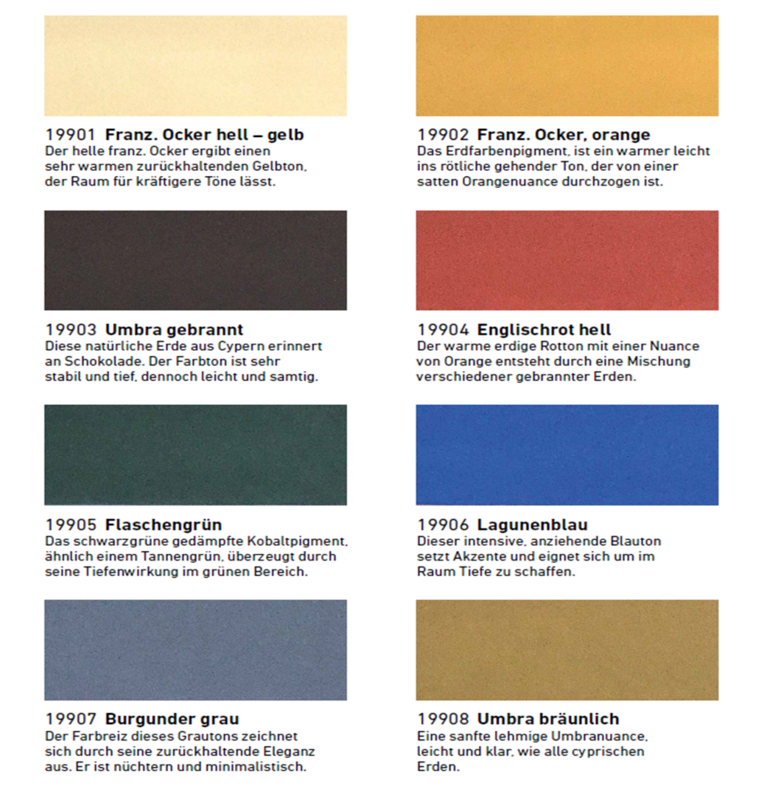 These pigments are characterized by their very high light fastness and their compatibility with almost all binders. Spring News from the Color-Mill 2018! We present new pigments, gilding products and more highlights in the field of oil, varnish and dye. Be inspired by our spring news and immerse yourself in the world of colorful pigments and new opportunities for working techniques. Here you can find the list of all new products.